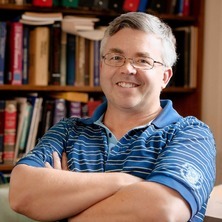 Joe received his PhD in Reaction Dynamics from the University of Toronto in 1990. He subsequently held an NSERC Fellowship at The University of Western Ontario before moving to Australia in 1996 to take up a position at Flinders University. He took up his position at UQ in February 2018. Joe served as Dean of the School of Chemical and Physical Sciences for six and half years and headed the Flinders involvement in both the Australian Microscopy and Microanalysis Research Facility (AMMRF) and the Australian National Fabrication Facility (ANFF) and was SA Director for AMMRF. His major interests are in the area of novel nanomaterial production, nanometer scale of these materials and their applications in for example sensors or solar cells. explores ways to make novel nanomaterials and then apply them in areas such as photovoltaics, catalysts or sensors. The Shapter research group explores ways to make novel nanomaterials and then apply them in areas such as photovoltaics, catalysts or sensors. ​Our work centers on the area of nanomaterials using various techniques to make new materials, make materials more efficiently and to combine these materials to enhance properties. With these materials in hand, our team works to incorporate them into a variety of devices or applications. We have made solar cells with various architectures including dye-sensitised cells, CNT-Si cells and perovskite cell. Our materials have also been used to make electrochemical sensors as well as electrodes for photocatalysis. Journal Article: Mono-crystalline perovskite photovoltaics toward ultrahigh efficiency? Mono-crystalline perovskite photovoltaics toward ultrahigh efficiency? Parappilly, Maria B., Siddiqui, Salim, Zadnik, Marjan G., Shapter, Joe and Schmidt, Lisa (2013) An inquiry-based approach to laboratory experiences: investigating students' ways of active learning. International Journal of Innovation in Science and Mathematics Education, 21 5: 42-53. Yu, Jingxian, Matthews, Sinead M., Yunus, Kamran, Shapter, Joseph G. and Fisher, Adrian C. (2013) Integration of Enzyme Immobilised Single-walled Carbon Nanotube Arrays into Microchannels for Glucose Detection. International Journal of Electrochemical Science, 8 2: 1849-1862. Hale, Penny S., Maddox, Leone M., Shapter, Joe G. and Gooding, J. Justin (2005) Surface pKa of self-assembled monolayers. Journal of Chemical Education, 82 5: 779-781. Snow, MR, Pring, A, Self, P, Losic, D and Shapter, J (2004) The origin of the color of pearls in iridescence from nano-composite structures of the nacre. American Mineralogist, 89 10: 1353-1358. Waclawik, ER, Ford, MJ, Hale, PS, Shapter, JG and Voelcker, NH (2004) Liquid-crystal displays: Fabrication and measurement of a twisted nematic liquid-crystal cell. Journal of Chemical Education, 81 6: 854-858. Shapter, Joe and Gascooke, Jason (2003) Electronic spectra of benzene: an APCELL experiment. The Australian Journal of Education in Chemistry, 61: 26-29. Which parameters affect the response of the channel biosensor? Shapter, J. G., Ford, M. J., Maddox, L. M. and Waclawik, E. R. (2002) Teaching undergraduates nanotechnology. International Journal of Engineering Education, 18 5: 512-518. Pyke, S. G., Ellis, Amanda V. and Shapter, Joe (2010). Key competency tests in a large first year chemistry cohort. In: J. Thomas, Proceedings of the 13th Pacific Rim First Year in Higher Education Conference. 13th Pacific Rim First Year in Higher Education Conference 2010, Adelaide, SA, Australia, (). 27-30 June 2010. Barlow, A., Shapter, J. G. and Quinton, J. S. (2008). Fluorinated carbon surfaces using radio frequency plasma modification. In: Physics for the future 2008: refereed papers.. Australian Institute of Physics (AIP) 18th National Congress, Adelaide, SA, Australia, (). 30 November-5 December 2008. Shapter, J. G. (2007). Teaching undergraduates nanotechnology. In: Baglin, J. E. E., 3rd International Conference on Materials for Advanced Technologies (ICMAT-2005)/9th International Conference on Advanced Materials (ICAM 2005), Singapore Singapore, (179-187). 3-8 July 2005. Losic, D., Shapter, J. G. and Gooding, J. J. (2002). STM/AFM studies of GOx on Au surfaces. In: Proceedings of ACUN-4 International Composites Conference. ACUN-4 International Composites Conference, Sydney, Australia, (8-13). 21-25 July 2002.